When Winston Churchill wrote “history is written by the victors“, he didn’t count on long term storage of anti-doping samples, judicial investigations and eventual confessions. These days were are seeing sports officials and fans alike question past results. Right now Tyler Hamilton has handed back his gold medal from the 2004 Olympic games time trial and that Michael Rogers could grab a bronze medal. Only I find this reallocation of results a very fraught experience. For starters, being handed the medal years after the event just isn’t the same, it might be justice but the podium ceremony and national anthem are missed, collecting a medal years after the event might be satisfying but it’s never going to be a joyous moment. Plus the medal is little bit tarnished, any pride from the new recipient comes with a reminder of doping, the story isn’t of a superb ride on the day but on picking up the medal because someone else got caught. Indeed it’s this selective catch that is the most frustrating element. You end up looking at results and making your own judgements. For example Tyler Hamilton only held on to his medal thanks to a laboratory bungle which froze his B-sample. And if some fans are wondering if Ekimov and Julich rode in purity, new bronze medal candidate Rogers was coached by Michele Ferrari at the time. It’s possible the Australian was just getting advice on nutrition or bike fit but if he wins a medal, he might not be awarded the benefit of doubt by many fans. It’s a mess. It’s the same for the Tour de France. Look back at past results and Bjarne Riis is still listed as a winner despite confessing to doping. Some fans are playing the “who really won” game for more recent editions, examining the possibility of Lance Armstrong being stripped of his results. Only we look at the likes of Jan Ullrich, Ivan Basso or Marco Pantani and I’m not sure they’re moral victors. They might recover the win but “justice”, for want of a better word, feels incomplete. The rules stipulate the top-20 in a race get revised. But maybe it’s time to see the winner’s name left blank instead? That way it sends an appropriate signal that the event simply had no winner. After all the presence of a cheat in a race often falsifies the whole classification since they are part of the race strategy. Pulling their name out ex post ignores the way their presence affected the racing. I’m all in favour of going after riders if they’ve cheated. But it’s the unequal approach that’s awkward. If some riders get caught by subsequent investigations, it’s possible riders outside the scope of the same investigation evade justice. Look at Operation Puerto where several Italian riders got banned whilst some Spaniards weren’t pursued with the same energy. Re-awarding results years after the event is a procedural matter but perhaps it’s just better to leave the winner’s name blank. No matter who won, the sport lost out. for the athlete rewarded ‘retrospectively’ it must annoy, moreso when the event is either the Olympics or the Worlds. The podium moment, is likely savoured more than the eventual financial reward, relative to the result. This may not be everyone’s taste, I’m sure many will say why penalise others simply because of one, especially if you were the 3rd placed rider, but that is the point. Someone was faster – and while they were doped, if the result was ‘removed from record’ after the DQ then it might focus attention collectively, and illustrate to many, that ‘ *unclassified’ rewards no one. And pray there are no time bonuses, which could completely reshuffle the GC and tactics for any stage. End of the day, no matter how much they may or may not dope, pro riders still suffer at training and when racing… its not like they take EPO and all of a sudden cycling is easy. These guys diet like nothing else and train like animals and suffer suffer suffer. TGK, you have a point; they are generally good and work hard anyway, it’s just the drugs add the finishing touches. For those of you that know cricket, Shane Warne was one of the best bowlers ever in the game – a true genius – but was banned for taking diuretics to aid weight loss: he always was a bit of a porker. That takes nothing away from his brilliance. Not that I agree with the use of drugs in sport in anyway. Warne should have worked harder at his fitness, perhaps. I don’t know the answers, especially in cycling, where the permutations of reallocating results are so infinite that I can’t even contemplate them! Bit off topic, but my 2 year old daughter just looked at the picture and asked why the man was wearing a pirate hat. I’m with flashing pedals approach on this, but i would go one step further. Whilst i am pro rehabilitation of riders who err, and also accepting of bans as being part of the punishment, i do feel that there are other measures that can be taken in the pursuit of prevention ( rather than cure). The allure of the podium cannot be underestimated – the moment of triumphalism, public acclaim etc. So, whilst not wanting to vilify riders who return to race within races – i believe that is acceptable so that they/we can move on, i do think that if they were to lose the right to appear on podiums permanently following a ban it could be a very tangible measure in aiding prevention…. Good post! I agree with Flashing Pedals. Re-awarding is pointless. Read your history books and learn that there always has been doping in cycling. Not because cyclists are bad people. You simply gain som much from doping that it’s impossible to win grand tour or another major race. Today doping is of course much more advanced but just as common. It’s naive to believe it’s possible to finish in the top of a grand tour without PED’s. No matter how much talent you might have. Re-awarding another rider seems pointless in the light of this. He also used PED’s. True. 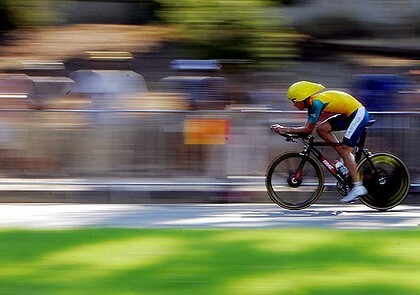 Lemond once said that it never gets easier, you just go faster. I agree that adjusting results is not satisfying for anyone, especially if we’re presenting Tour wins to the likes of Zulle, Ullrich, Below, Kloden, and Basso. We may as well let Lance keep them with that lot next in line. I agree with the places being marked as unclassified, rather than just moving people up. That just hides the truth of what happened. The fact that Bjarne Riis can still work in cycling says quite a lot about what cycling as a sport thinks about doping . The whole thing is corrupt starting at the very top . Another great post. Re-awarding old medals just seems messy and wrong. But I can understand why it has been done for so long and if anything, my view would be that looking to the future, we should be hoping that sports continue to retrospectively amend the results table. The authorities’ view has been – ostensibly – an extension of the ‘innocent until proven guilty’ argument. Remove drug cheats from the records and give the moral victors the victories they truly deserve. We are now approaching a period where the possibilities to dope and get away with it are diminishing. Doping has not been stopped but it has been attenuated. The number of tests is increasing and their sophistication is too. And the structures that underpin doping are slowly being inhibited and dismantled. There is now a stronger case to retain the status quo and keep re-awarding medals retrospectively. But what about the past, cases like Hamilton. We now know (or very strongly suspect) that most of the field in many past competitions were circumventing the rules. So perhaps you’re taking the prize from one cheat and giving it to another one. The problem is a lack of proof, not a lack of guilt. How about re-testing the old samples before the results table gets amended. Using today’s technology. If there is no existing sample to re-test, (s)he does not get the medal ‘upgraded’. The position would be made blank. We would get even more arguments of the variety “stop talking about the past, we must move on” vs “all cheats should be punished” but retrospective testing has been done for CERA, why not wind back the clock further. The effects of sample degradation would need to be considered carefully and perhaps you could not look for everything but surely a list could be created saying “we can re-test samples for this for up to one year, we can re-test for that for up to eight years” etc. This method also opens up the possibility of the ‘nightmare scenario’ (or should that be ‘dream scenario’?). First placed competitor hands back the gold medal. The sporting federations that represent second & third places request clarifications from the governing body – are their athletes going to get the medals they deserve? The athletes’ samples for that period (not necessarily the specific event itself) are re-tested and we find out that they were doping too. The whole podium was a sham. It would be a lawyers’ paradise. To me, the stripping of the medals/outcome is more important than the re-issuance. You need to ensure that the dopers know, in the back of their mind, that they are going to lose not only their ability to ride if caught, but their ability to hold onto their ill-begotten results. Punitive action with vigorous testing is unfortunately the only way to tackle this. It may never be 100% clean, but if you make it so difficult and the punishment so severe, you will increase the number of teams/riders who no longer want to take the risk. The problem right now, is that the rules are not punitive enough. How long will this farce continue? I am a lifelong (63 yr old) cycling fan, cheating takes place in all walks of life and in all sports but this last week or so after witnessing Contadors performance’s in the Giro and the Radioshack deja vu (us postal/discovery) Horner/Leipheimer double act in California I am left with a bad taste in my mouth. I lost all interest in both events. It’s embarrasing being /having been a racing cyclist. Criminality is the way forward, never mind tests and profile’s get the police involved on a multinational scale and put people in prison. @ Dave picking on Riis. I never quite understood why Riis is rated more dirty than everybody else having done the same. Take a look at the guys around Cavendish. Aldag, Holm, Zabel to name a few.They were all riders at Team Telekom in the 90’s. Zabel and Holm have openly admitted the use of PED’s. Or look at the guys running the Garmin team. Vaughters and Weltz. Their past isn’t any better or worse than Riis’. Removing these guys from cycling I seriously question will change anything for the better. Riis and Zabel volunteered their confessions because they wanted people to know how prevalent it was at that time. They both clearly love cycling and wanted to come clean to help cycling move forward into a more open and honest future. I for one wish we could leave the past alone and focus on future prevention. I’m no Armstrong groupie, but I see no good coming out of the current investigation. There ought to be a statute of limitations on digging up the past. Good post, and a very interesting idea. But I think it will damage the sport, more than reduce doping. What we need is effective, QUICK, analysis and controls, so that disqualifications can be decided right after the race, when the results are still “hot”. Just like when a sprinter pushes another one during a finish. But rewriting results 10 years after? Based on confessions? Old urine samples? What’s next? Unbury Anquetil’s corpse and anayze his DNA? Interrogate Merckx’ wife and children? Dopers should either get caught in the control or else get away with it. But indefinition is the worst. It’s the basic rule of cheating. You don’t rewrite the results of a basketball competition because television shows that someone’s three-pointer should have been a two-pointer. Of course I am for the race being as clean as it can possibly be, but only through the effectiveness of controls, which should be seen as part of the game. And when the game is over, it is over, and let’s enjoy the next race. Revising results is a complete mess if you dig a bit deeper. The IOC are keen to reaward medals and rewrite their history but not everyone else can be bothered. For example, Santiago Pérez was suspended for two years for blood doping at the 04 Vuelta. However, his results were never stripped so he still has second place in that race! Same story at the 2007 Clásica de Almería – there Guiseppe Muraglia won but tested positive for hCG – but is still listed as the winner. i think this is all a pointless endeavor to get worked up about revising results, looking for the “true” winner and trying to figure out the next guy down the results list who might have been clean. to this day and since nearly the beginning of the sport, doping has been a part of this sport. these guys have always taken anything possible to drag their poor carcasses over the roads in search of their glory. and if there is a clean guy, well i feel sorry for him but do admire him all the more. now im not condoning it, wouldnt do it, but its never, EVER gonna stop. theres just no way. its just a side game in this sport, and almost cherished aspect in some ways. you train, you dope, you eat you sleep. you get caught, well you make up some asinine excuse for the public, take your suspension, come back and do it again. people, its been like 60 years of this by now. it is a tough bind, illegal products are taken, health can be at risk. so you cant really legalize it. but why cry about it? youll be crying the rest of your life. personally, all i hope for is my guy doesnt get caught and the uci is taken care of. that level of corruption is obscene, but then again, another problem thats probably been around and probably wont go away… just enjoy the racing. Previous post: Is Contador welcome at the Tour de France?